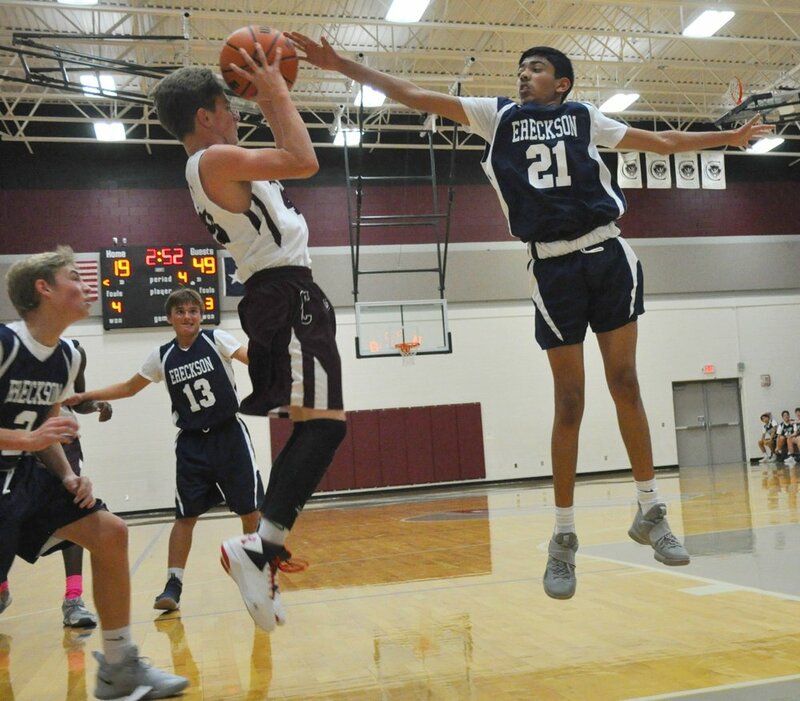 Cooper Junior High’s eighth grade boys went up against Ereckson Middle School on Nov. 15 at home. The Huskies took possession to make a three-pointer within seconds. Both teams went back-and-forth with empty shots, fouls and missed free throws for most of the first period. With 3:52 left, a timeout was called with Ereckson leading 3-0. Both free throws from Huskies #23 were good before another three-point shot went in bringing the score to 8-0. Ereckson then scored twice before Cooper #41 sank one free throw, with five seconds remaining, ending the period at 12-1. Ereckson came into the second with a solid three-point shot and a basket before fouling Cooper #14. The Huskies were at nine fouls, but the Patriots missed most free throw attempts before the half. A timeout was called with 2:53 remaining as Ereckson was up 22-1. Cooper improved slightly at the line while the Huskies continued attempting threes. Fouling between teams was ongoing with nine against Cooper and 10 for Ereckson at halftime. The Huskies were ahead 33-5 going into the third as the Patriots became more aggressive with steals and getting rebounds. 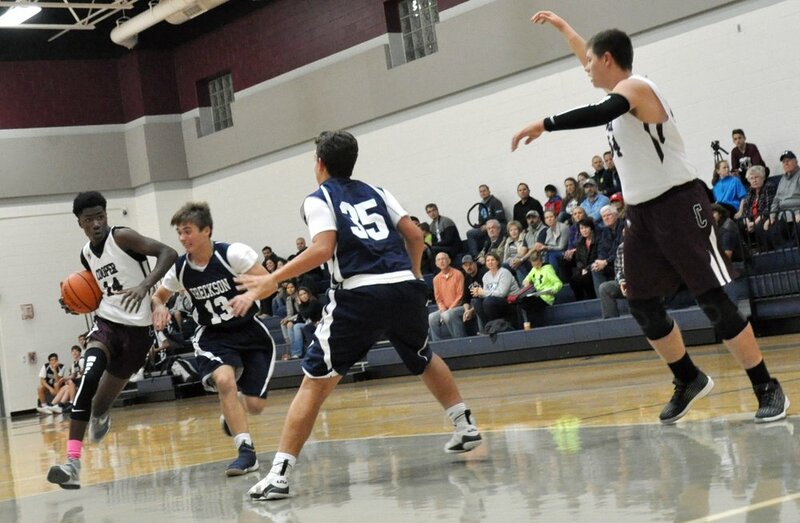 Playing center, Patriots #54 took care of scoring on rebounds as the Huskies fouled him. Ereckson’s impressive three-pointer came again, but the Patriots did not go down without a fight. Ereckson began making mistakes, but it wasn’t enough as the Huskies dominated with a 52-21 win. 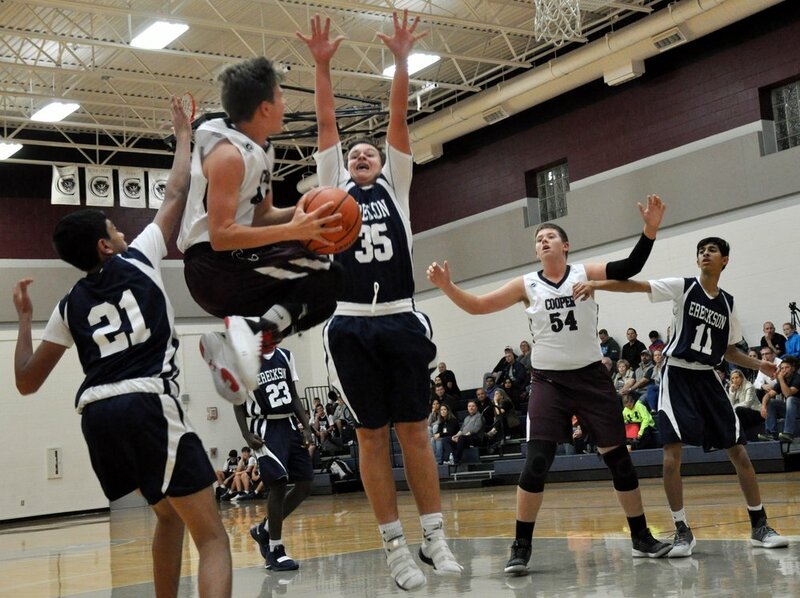 The Patriots will take on the Cougars at Curtis Middle Schoolon Nov. 29 at 5:30 p.m.